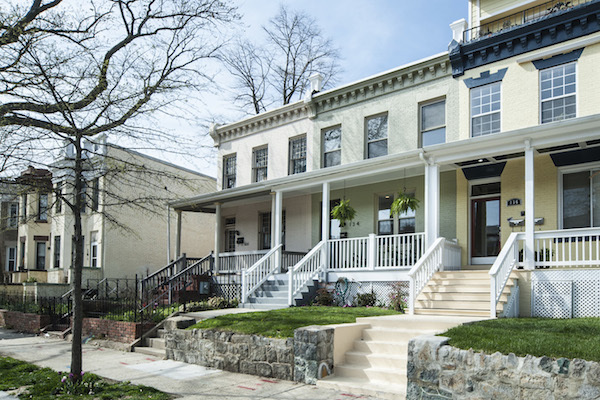 Just blocks from Big Bear in the heart of Bloomingdale, NOMA metro and Union Market, this home is in the middle of everything you could possible want — restaurants, shopping, and a quick metro ride to other DC delights for both day and night. 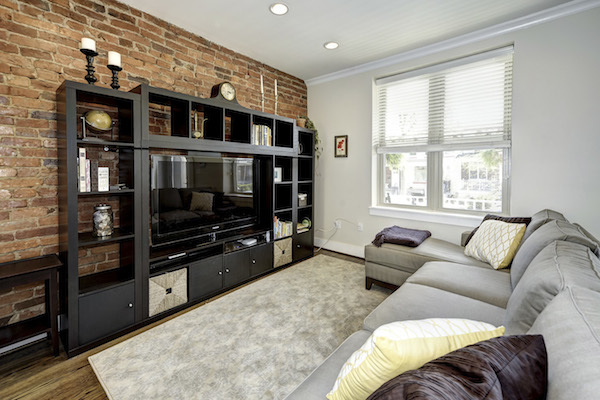 This bright first floor features a wonderful open living area that includes a built-in iPhone docking station and speakers to put your friends and family in the perfect mood when entertaining. Your guests can also easily head out to the front porch or to the backyard patio as the party continues. Exposed brick and hardwood floors give the space some rustic charm alongside the many updates of this renovated and well-maintained home. 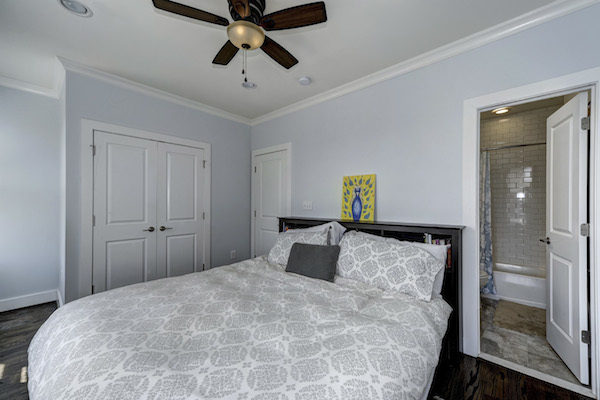 Who doesn’t want the modern convenience of recessed lights and new windows in a charming home built in the early 1900’s! 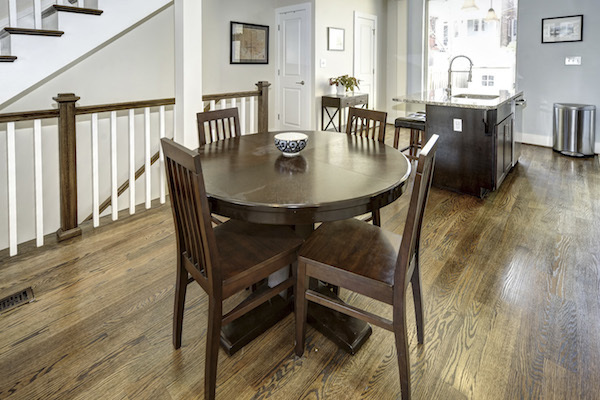 There’s plenty of room to fit a dining table for family meals or just hop on one of the island stools for a quick bite to eat or for your morning coffee. The large kitchen window makes this a cheerful spot to start the day! This is a cook’s dream of a kitchen! Sleek backsplash, granite counters, and stainless steel appliances provide the urban style but the ample cabinet storage, generous counter space, and huge pantry make it extremely functional. Upstairs is the master bedroom with bathroom en suite. You’ll find a great closet with a built-in organization system for your storage needs. Three windows along the back wall fill the room with light. The convenient bath has been updated with a large vanity and sink. Its clean look is perfect for today’s decorating trends. A lovely bedroom perfect for a small child who will feel snug as a rug in it! Or make it an office, library, gym, or whatever your needs may be since you’ve got other bedrooms in this home. 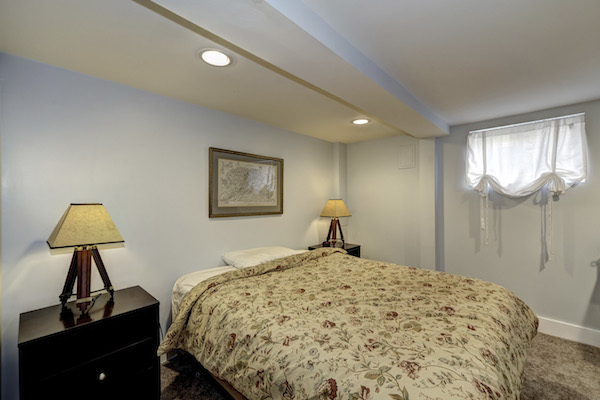 Here’s the third bedroom upstairs that’s got plenty of space for your family’s needs or even your out-of-town guests. And more great closet space! The full bathroom upstairs also has been updated with a clean look and large vanity. 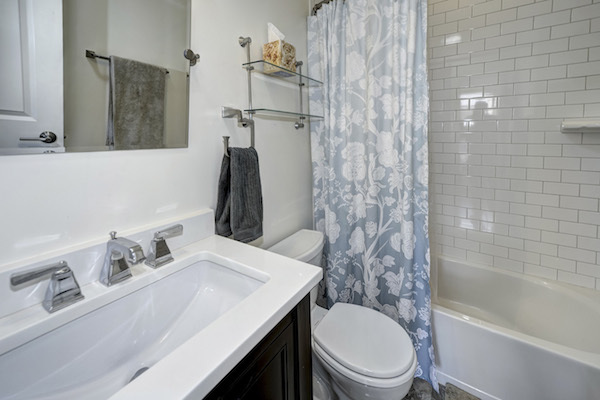 You’ve got to love a home where you don’t have to fight over a bathroom! 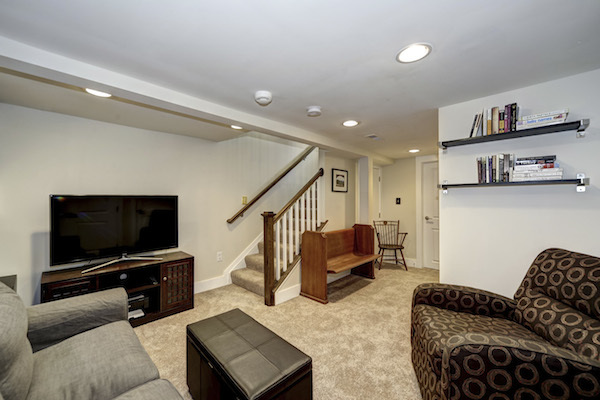 Come hang out in this renovated basement that can easily fit a comfy couch and big screen TV. Invite friends and host the next big game! 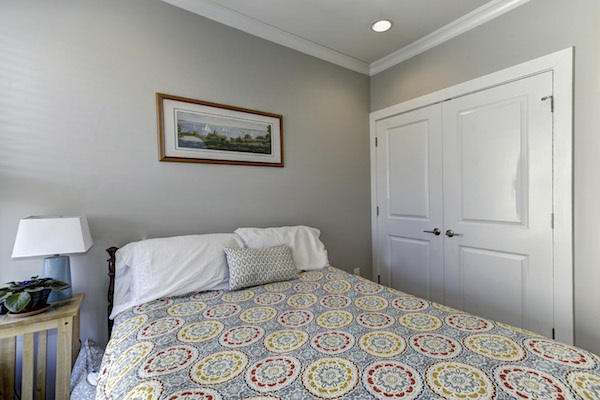 The walk-out fourth bedroom in the downstairs basement is perfect for guests or perhaps an au pair who may like privacy and space. 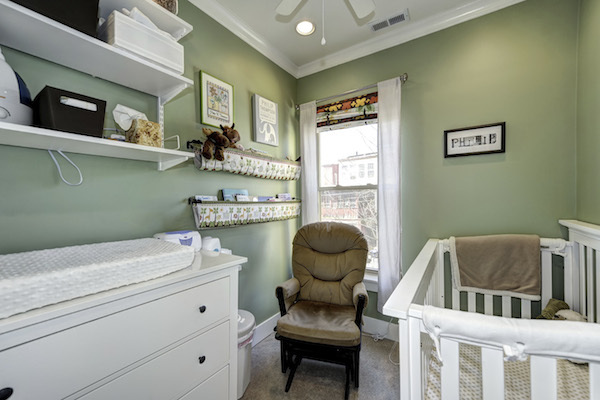 A large closet makes storage handy and convenient for them. 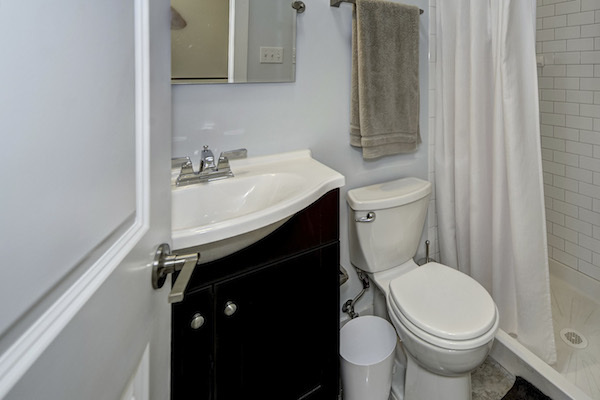 The basement bathroom adjoined to the bedroom has ample room and features a large vanity and space for other storage needs. 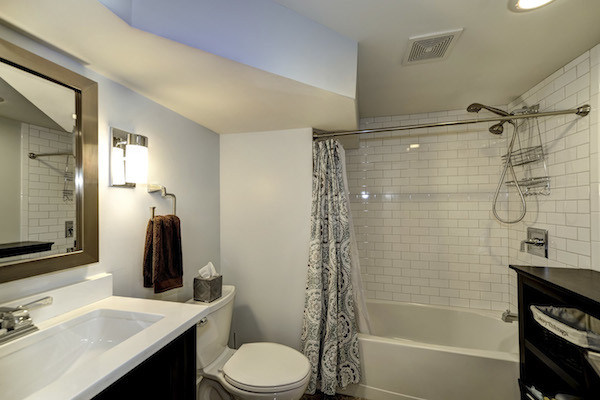 The classic subway tile above the large tub makes bath time much more stylish! 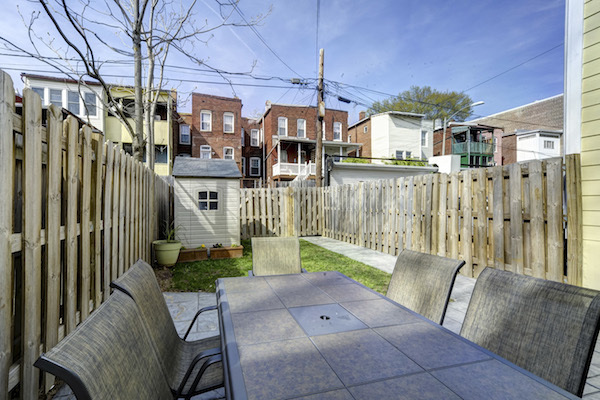 Enjoy grilling for friends and family in the fenced backyard where you’ll be able to sit plenty of guests on the large patio space. There’s just enough green space for a game of croquet (and the shed is perfect storage for any of your outside toys!). 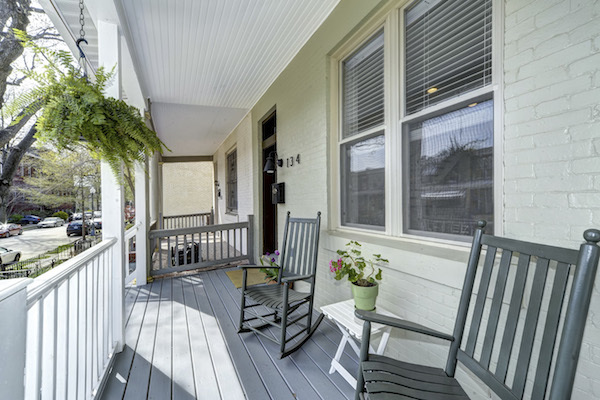 You’ll step back in time while living on this quiet stretch of neighborly front porches. 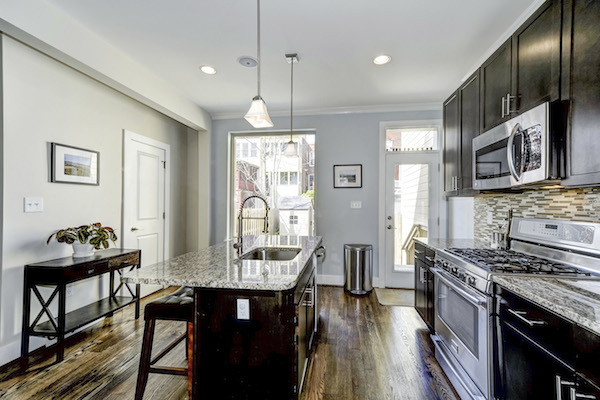 The block features other updated and renovated homes like 134!